TORONTO, On (Jan. 19, 2015) – Shortly after announcing their Trans Am Series debut, Canada’s Best Racing Team (CBRT) pulls another surprise from their helmet by introducing Erica Thiering from Sherwood Park, Alberta, to the team. Thiering will be racing in the NASCAR Canadian Tire Series alongside teammate and General Manager of the team, Joey McColm. “We are very proud to announce the addition of Erica to CBRT. We continue to develop a winning team for our partners to help propel their brands both on and off the track and in a new and interactive manner. Erica is a great fit with her winning personality and drive to be a leader. She will be a welcome addition to our team of professionals,” says Bud Morris, Team Owner. Thiering began her racing career in 2007 in feature stocks, progressing quickly to the NASCAR Whelen All American Series. In 2014, she debuted in the NASCAR Canadian Tire Series and had two top-10 finishes in the season. As a five-time NASCAR Whelen All American Series Provincial Champion, Thiering is full speed ahead for the 2015 NCATS season. During a time where more and more female athletes are pushing traditional stereotypes, it seems fitting to highlight the importance and need to support women in the racing industry. “As a forward thinking team focused on creating awareness about important world issues such as sustainability in auto racing, introducing a female driver fit perfectly with our team’s core values. 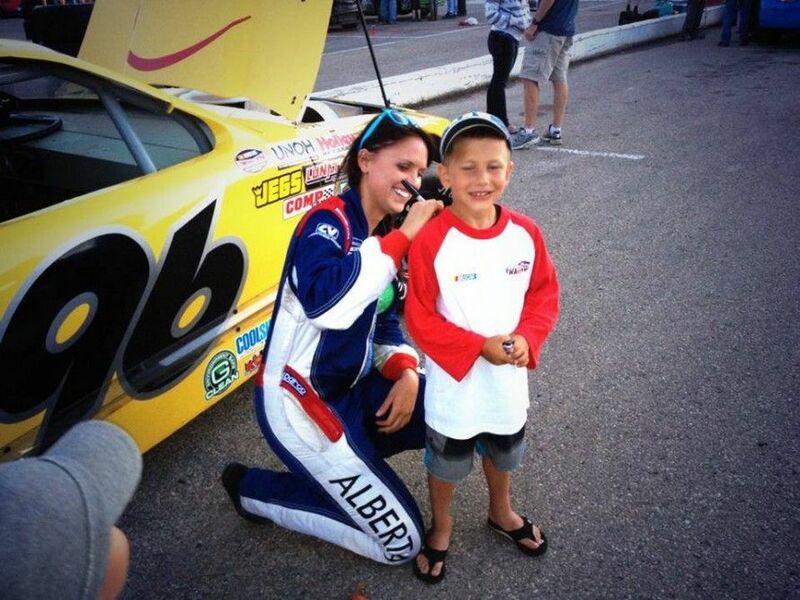 There is no doubt that the fan base at racing events across Canada is diverse, and with an increasing number of female fans. CBRT is proud to support a racer and role model who isn’t afraid of breaking barriers and challenging old-fashioned stereotypes. The time for change in the industry is now, and we couldn’t be happier to be the catalyst for that change,” says McColm, General Manager. With the first NCATS race set for May 17th at Canadian Tire Motorsport Park, the team is full speed ahead with preparations for the season, including additional announcements and surprises coming soon! ABOUT CANADA’S BEST RACING TEAM Canada’s Best Racing Team (CBRT) is a Canadian company established in 2013 that currently fields teams in the NASCAR Canadian Tire Series and Trans Am Series. CBRT is a highly competitive team of professionals who are invested in the cars and drivers they put on the track. Committed to environmental responsibility, CBRT is a pioneer of sustainability in auto racing, while simultaneously promoting excellence, integrity, and loyalty to their fans. As a leader in marketing solutions, CBRT focuses on strategic partnership, activation planning and execution using social engagement strategies and relationship enhancing experiences to strengthen the connection between brands and their customers.